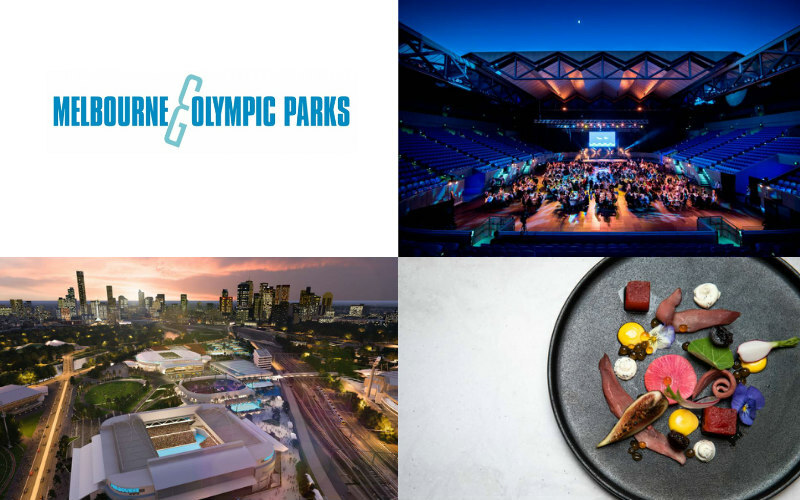 Melbourne & Olympic Parks is home to Melbourne’s best sporting and entertainment events. Home of the Australian Open, our venues and spaces offer an unparalleled Business Events experience. Conveniently located in the heart of Melbourne city, Melbourne & Olympic Parks is set against the magnificent backdrop of the city skyline and the Yarra River. 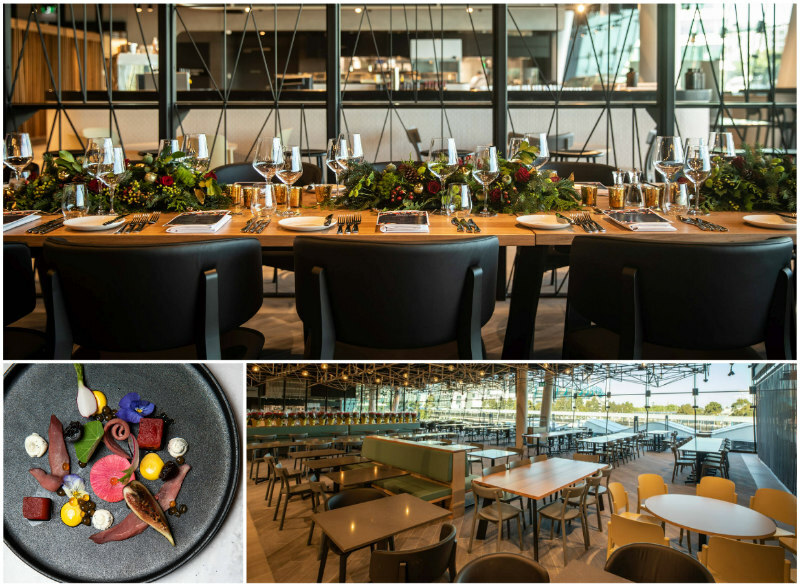 Comprising of Rod Laver Arena, Melbourne Arena, Margaret Court Arena, AAMI Park, Tennis HQ and The Vista, our precinct offers endless options to host an event of any size. Our unique combination of function rooms, arenas, stadiums and suites provides the ultimate flexibility to host a wide range of events that will leave lasting memories. Melbourne & Olympic Parks is enviably positioned between Melbourne’s thriving central business district and the busy inner-city suburb of Richmond, making it effortlessly accessible. The location of Melbourne & Olympic Parks is convenient to public transport, an array of accommodation, endless eateries and bars. Excite your senses and elevate your event with our extensive offering of first class catering. Our accomplished executive chefs and talented teams cultivate culinary delights to accompany any occasion. Creating partnerships with local suppliers and sourcing seasonal produce drives our team of culinary professionals. Their passion and commitment to creating innovative dishes that push the boundaries, are behind your memorable menu. Our packages and menus feature the freshest ingredients, allowing the produce to shine. Adept at delivering a diverse array of unrivalled experiences, our dedicated teams can work with you to design your culinary experience according to the needs or theme of your event, or choose from our existing menus that have been created with your event in mind. From gala dinners and conferences to large scale production in our arenas, Microhire offer audio visual solutions to assist you in creating an event to remember. Microhire has been providing our clients with the latest in Audio Visual and IT solutions for over 25 years and has been Melbourne & Olympic Parks in house Audio Visual partner for the past 6 years. 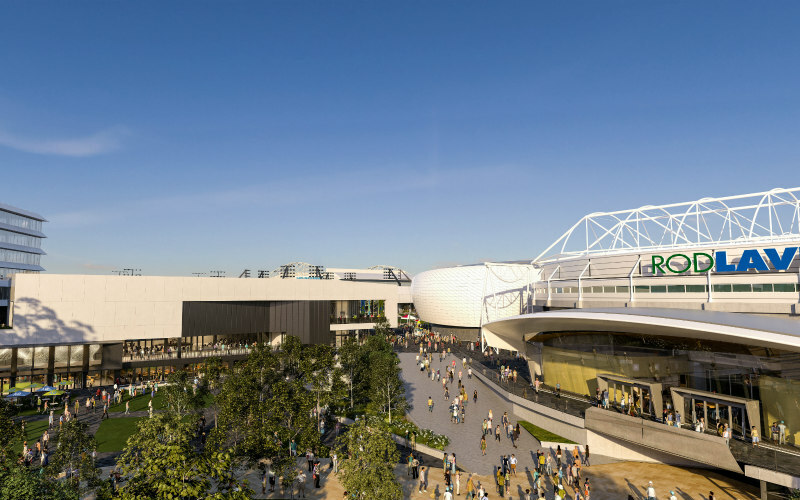 Melbourne Park is currently undergoing a multi-million-dollar transformation with the intent to cater for the growing popularity of the Australian Open and year-round events. 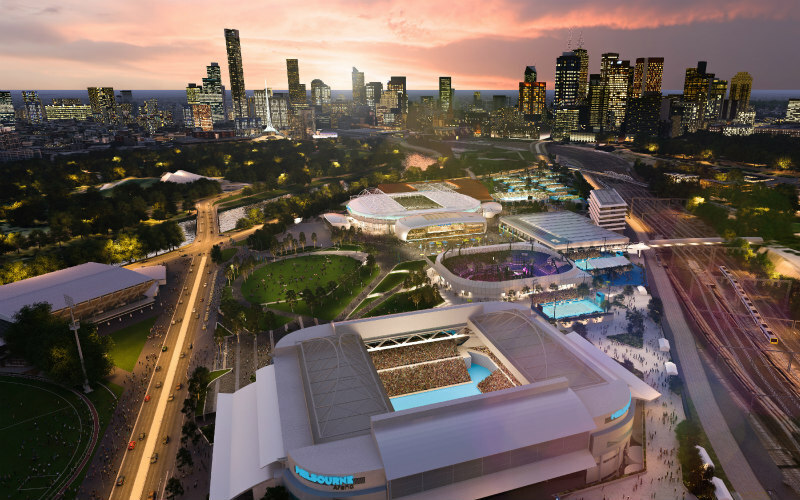 The design will secure the future of the Australian Open event in Melbourne and cater for the growing event calendar, ensuring that Melbourne & Olympic Parks continues to be a world class sporting and entertainment precinct for generations to come. Redevelopment works will place a strong emphasis on the comfort of patrons, with more open space and shade, increased seating capacity, better connections to public transport and the city, and easier movement into and within the Melbourne and Olympic Parks precinct. 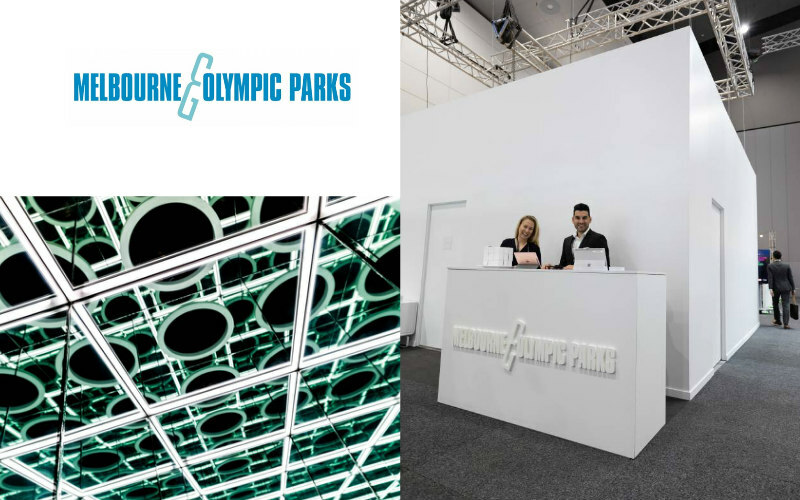 Melbourne & Olympic Parks (M&OP), home of the Australian Open Tennis Championship, has for the first time revealed features of its new world-class function and media centre at the Asia Pacific Incentives Meetings & Event (AIME), held in Melbourne on 18–20 February 2019.